As Angela Merkel gets ready to stand down as leader of the CDU, a new era is in store. We spoke to the chancellor’s colleague and friend David McAllister to find out what she’s really like to work with. The Germans have a word for that time of day when you clock off work: Feierabend, which literally translates to ‚party/celebration evening‘ in English. This concept of downing your tools, switching off your computer or putting your work phone to one side, is ingrained in culture and embraced by much of the population. And even the chancellor abides by it. 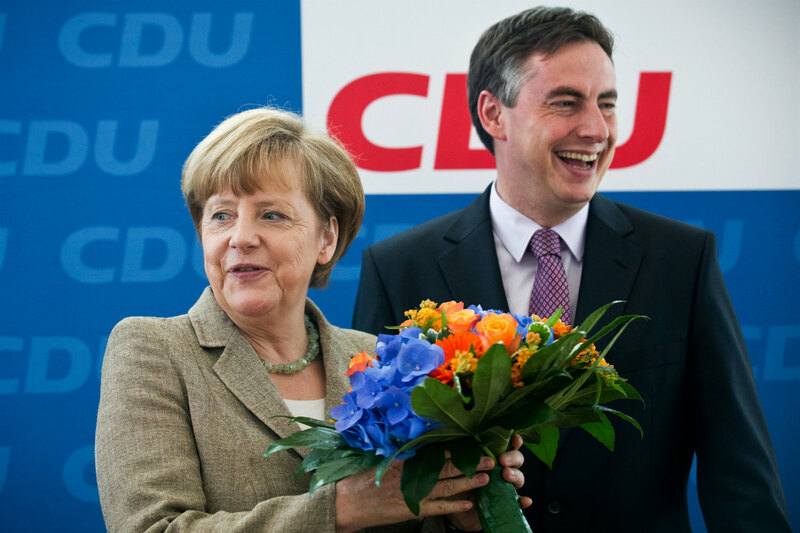 “Angela Merkel is very intelligent, she understands the most complex political issues in a record time and she – rightly so – can sometimes be quite demanding,” Christian Democratic Union (CDU) Member of European Parliament (MEP) David McAllister told The Local. McAllister, who was born in West Berlin to a Scottish father and German mother, has known Merkel for nearly 20 years. He has been an MEP since 2014, is vice president of the European People’s Party and was formerly state premier of Lower Saxony, which marked the first time a dual German-British citizen held a prominent public office position in Germany. Following his election in 2010, he was lauded as a rising star in the CDU and as a potential successor to Merkel. However he told The Local he was not a candidate for the CDU top job, and was focusing on his role in Europe. He added that the pair worked very closely together during his time as state premier. It appears that the chancellor rarely has a day off, often shuttling around Germany for different speeches or meetings daily, and attending events around the world. McAllister, a lawyer by profession who splits his time between Brussels, Strasbourg and Bad Bederkesa in Lower Saxony, where his family lives, agrees that Merkel is a “hard worker – 12, 14, 16 hours a day”, he said. But Merkel also knows how to wind down. It’s this down-to-earth approach that makes Merkel, who has been at the helm of the CDU for 18 years, and chancellor since 2005, seem more human. Despite her serious demeanour at times, Merkel can be just like the rest of us. This was shown when she enjoyed a get-together with European leaders, including French President Emmanuel Macron and Luxembourg Prime Minister Xavier Bettel, over beer in Brussels recently after Brexit talks. And it’s why the footage of her explaining to an elderly French women that she is not Macron’s wife and is actually the Chancellor of Germany, is so compelling.